It's clearly pie weather. Brr.... and with the new pie emoji we simply couldn't resist the temptation of not doing a blog post on pie. 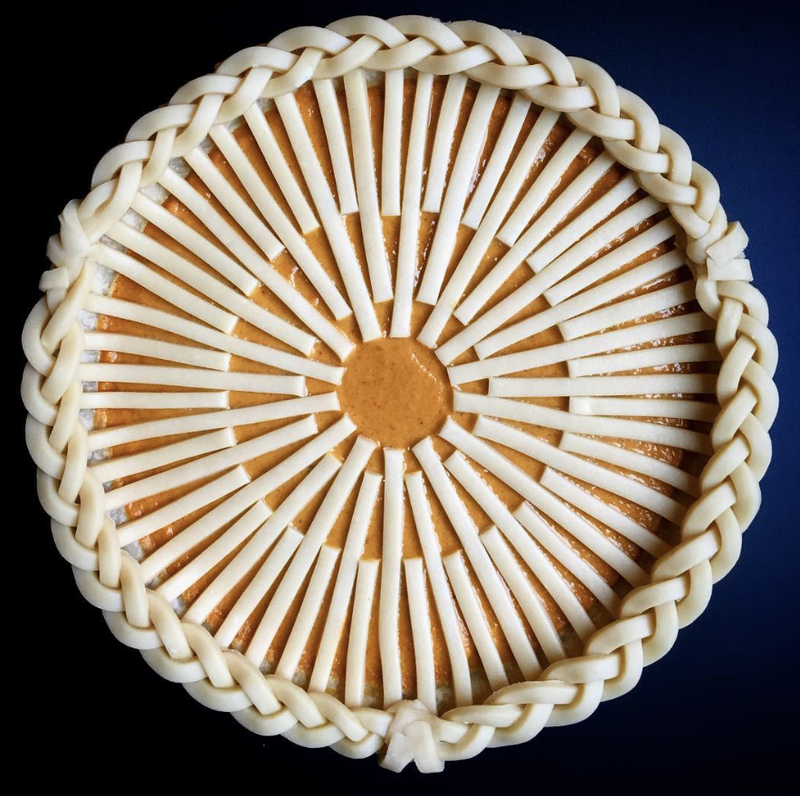 Via Instagram we came across these beautiful pie designs via instagram account LokoKitchen. It's beautifully in many ways, the lines, the stacking, the colours, the geometrics to a certain extent that remind of us of spirographs. Definitely more yum and fun than what a normal 3.14 pie circle will have. Delish! Fancy some pie?